Tahoe Forest Health System's Sleep Disorder Center is a complete sleep disorder laboratory utilizing state-of-the-art technology to diagnose and treat sleep disorders. 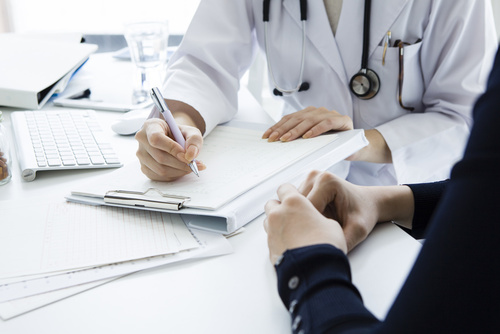 Our services include a variety of outpatient diagnostic tests and treatments. At Tahoe Forest Health System's Sleep Disorder Center, patients spend the night in a comfortable, well-appointed private room specially equipped to monitor breathing, heart activity, sleep patterns, eye and muscle movements and brain waves. Sleep deprivation has a myriad of causes. It can lead to serious health problems, accidents and premature death. Many effective treatments are now available once diagnosis of a sleep disorder is made. Chronic Insomnia: The inability to fall or remain asleep. This disorder can be caused by a variety of conditions including sleep apnea, periodic limb movements, misuse of sleeping pills, stress, shift work, medications and poor sleep habits. Narcolepsy: A disorder defined by constant sleepiness and tendency to fall asleep suddenly and at inappropriate times. Nocturnal Seizures: Abnormal movements during sleep that may be due to treatable epileptic seizures. Periodic Limb Movement Disorder: A disorder that causes your arms or legs to jerk involuntarily during sleep. People may not be aware of their movement but repeated brief awakenings disturb sleep and cause excessive daytime sleepiness. Restless Leg Syndrome: A disorder that causes unpleasant "crawling" sensations in the legs when sitting or lying still, especially noticeable at night. The feeling most often occurs in the calves of the legs and affects the ability to sleep at night and function during the day. Sleep Apnea: A serious, potentially lifethreatening disorder where breathing stops many times a night for periods up to two minutes. During sleep, the airway narrows and may be accompanied by lack of oxygen and a disruption of deep sleep. Sleepwalking: A disruptive sleep-related event where the sleeper is awake enough to act out some behaviors but is still asleep and not aware of his or her activity. Snoring: While often no more than a nuisance, frequent or loud snoring can be a sign of sleep apnea. At Tahoe Forest Health System's Sleep Disorder Center, our Sleep Center physician and team of credentialed sleep disorder specialists evaluate each patient. Once your evaluation is complete, an overnight sleep study may be recommended. While you sleep, a technologist will observe your sleep patterns in a separate room. Brain activity, breathing patterns, muscle activity and heart beat are monitored. The results of your treatment are forwarded to your physician with recommendations for treatment when appropriate. Tahoe Forest Health System's Sleep Disorder Center accepts physicians referrals. Tests are covered by most medical insurance. Check with your insurance company policy for coverage details. Tahoe Forest Health System's Sleep Disorder Center is proud to have Dr. Greg Tirdel as its Medical Director. Dr. Tirdel is a sleep medicine specialist and diplomat of the American Board of Sleep Medicine. The Sleep Disorder Center is also affiliated with Sleep Medicine Associates, Inc.